Scanning 3D objects is relatively new within the 3D industry. By means of 3D scanning, 3D models can be made of existing objects, spaces and people. This is in particular a valuable technology for (historical) art objects and structures. But also think of personal mementos, such as the first shoes of your child, or the baby room, your old house. Or do you have a restaurant and do you want to display your special, beautifully presented, dishes in 3D or VR on your website? 3D scan of a Chinese dragon which was made out of 1 piece of natural stone. photorealistic visual behavior, in both real-time and raytracing based 3d, through a PBR (Physically Based Rendering) workflow. Not everything needs to be 3D scanned. If you want to see objects in a specific (existing) room, then the room can be made/reconstructed in 3D by use of 3d modeling. Consider the spatial limitations that museums often have for their objects; in this way they can offer objects that they can not exhibit to the public, and in the space where they would prefer to place them! 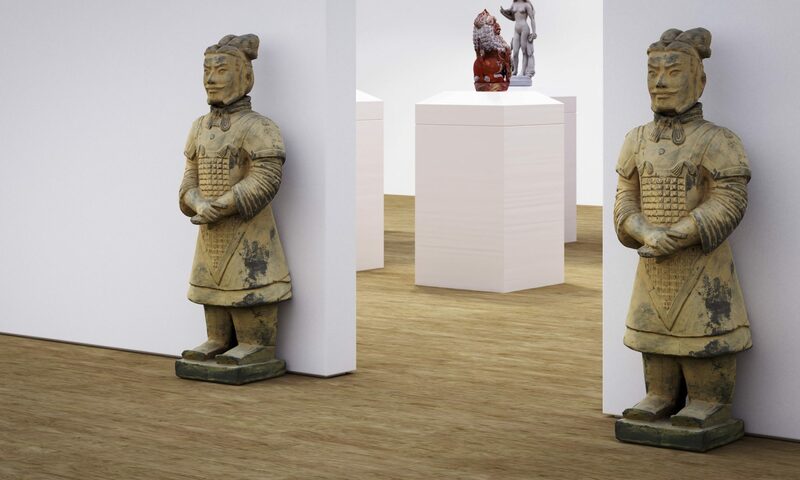 Gallery with a diversity of 3D scanned objects. If you have interest in the services Hane3D can provide, please let me know through the contact form or just give me a call. Hane3d.net was founded by from a passion for 3d visualization and reconstruction. I provide services for museums, artists and art-collectors to digitize their objects and works in optimized, crisp high definition 3d models. I also offer my own range of high quality 3d models via leading web stores such as Sketchfab and CGtrader.